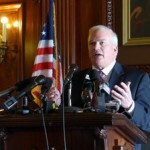 MADISON (WORT) — Lawmakers provided no details but GOP leaders say progress was made Tuesday on finishing up the state budget. Funding for transportation projects has been the biggest piece of the budget still in limbo. 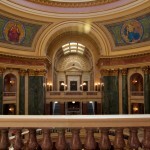 Governor Scott Walker’s pledge to block any fee or tax increase only complicates matters. Dylan Brogan reports.